"Dad's a petty criminal whose insults land like punches to the psyche. Mom's an enabler who endures her husband's shenanigans with the help of highballs. Yet their daughter Gloria—blessed with Huck Finn's rough-hewn decency and Scout Finch's sassy aplomb—survives, triumps, and, in Kookooland, bears witness to an amazing if challenging childhood. Norris's memoir made me laugh, made me cringe, broke my heart, and reaffirmed my optimism. I loved this book!" 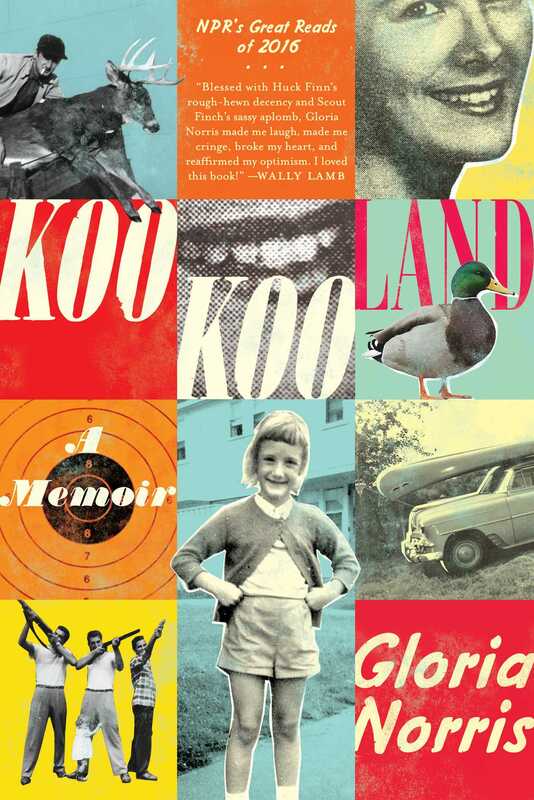 "Kookooland is a truly original memoir, dealing with some pretty horrific things with deft humor and a big heart. Gloria Norris has a terrific voice, telling her story from the point of view of the smart, brave kid she must have been. With cinematic urgency, Norris conveys the strange truth that love, fear and hate for a father can live side by side, and that’s why violence can endure in families. I raced through this book, heart thumping and breaking simultaneously." "By turns heartbreaking and darkly humorous, the book not only offers a compelling yet comic portrayal of a fraught father-daughter relationship. Norris also reveals the way violence can become a self-replicating cancer within families. An intelligent and bracing memoir." "For anyone who might suppose that a New Hampshire childhood was about tapping maple trees and picking apples, here comes the dark side. I could not have dreamed up a family like the one Gloria Norris brings to life on these pages : crazy, funny, terrifying—or a childhood more filled with confusing contradiction. The brilliance of her story is that she somehow survived the violence that might have destroyed her to give us this dazzling, funhouse ride of a memoir. When you emerge, you may want to run away fast. Or buy another ticket and go back inside." "Although many vibrant characters populate this chilling memoir, Norris’ re-creation of her early 1960s nine-year-old self is a spot-on treat and a terror. A tumble through a tumultuous time, in which the heroine inexplicably, beautifully lands on her feet." "An electrifying coming-of-age memoir about madness, murder, and a born storyteller's wild ride from a terrorized girlhood in nowheresville New Hampshire to life as a Hollywood producer and screenwriter."